The most obvious thing to look for is valid qualifications; the instructor should have formal training from a reputable certifying body (i.e. NRA, POST commission, FLETC, etc.). 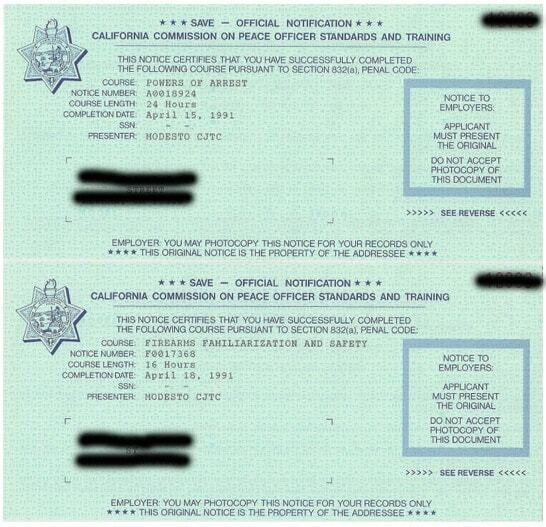 This is not to say that someone without formal certifications doesn’t know a ton about firearms, just that formal training ensures that instructors know formalized, instructional methods and techniques. Nine times out of ten, an instructor who has completed a course of study that addresses the shooter’s instruction alongside shooting itself will have abilities beyond the tutelage skills of a recreational shooter. Additionally, receiving guidance from a certified instructor may also help with legal defensibility if the student ever has to use their training in a self-defense incident. If you were on a jury, would you ascribe more clout to training from received from an instructor who has “been shooting all their life” or formal training received from an instructor with certification from a nationally recognized organization? 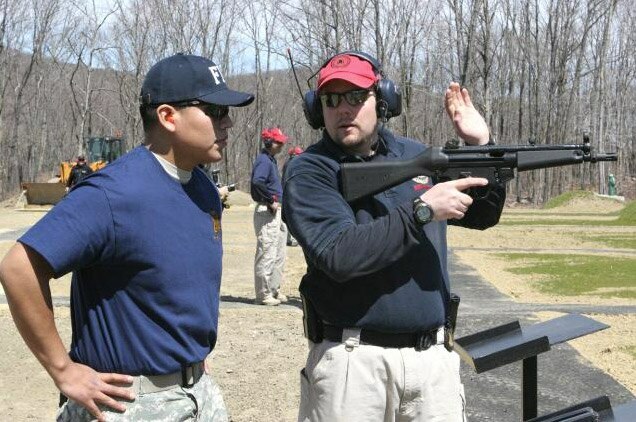 There are a few different ways for a firearm instructor to become certified, but the best known are from the NRA, either civilian or NRA law enforcement, FBI, and individual state’s Police Officer Standards and Training Commission (POST). The next thing I look at is the instructor’s personality and motivations for becoming a firearms instructor. Instructor personality plays a large part in what you take away from a class. It is important that before you decide on a course you should call the instructor and listen to what they say. If the instructor’s main reason for teaching is the course fee, it will be noticeable rather quickly. I don’t mind paying for a service, but I want my instructor to teach because he or she loves the field and displays a desire to share their knowledge with me—a clear passion for shooting. Besides the “paycheck” instructor, another type of instructor to watch out for is the egomaniacal instructor. Chances are you’ve run across these types of people in the classroom, at work or elsewhere in your life: people who “teach” simply because they have a burning desire to show people how much smarter they are in a particular field. A raging ego is something you’ll be able to pick up after very little contact with the instructor, if you just ask yourself these questions: Is the instructor negative? Do they bad mouth other instructors or companies? The truly competent will not feel the need to do this. Do they spend too much time attempting to impress you? You may find an instructor that fills up class time with “war stories” entertaining, but do you want to be paying for entertainment or are you there for information? A sometimes less assuming thing to ask yourself is, Does the instructor have a prejudice toward one particular skill or piece of equipment based upon their personal preference? In and off itself this is not detrimental but can become so if you identify the instructor tries to force their students to adopt their habits or, in worst case scenarios, a cookie cutter approach, without discussing other options. Do they feel the need to degrade your equipment because it’s not what the instructor carries? Some instructors hate a particular brand or action type and spend valuable class time lambasting gear they dislike and espousing their personal preference. In the grander philosophy of self-defense, the decision to own, carry and operate a handgun is a personal choice and should be approached as such. The instructor is not the one that has to use, carry, or depend on the firearm—you are. The instructor should teach you the pros and cons of each action type and help you come up with your own firearm solution. Let’s talk about the course itself. What is the structure of the course and does it meet all the necessary legal requirements? For example, if there is a legal time requirement for a carry permit in your state, does the course fulfill the requirements? Too often training classes with mandated hours or training objectives are cut short, and while it is always nice to get out of class early, cheating on training time could cause legal problems if the training is ever used for self-defense. 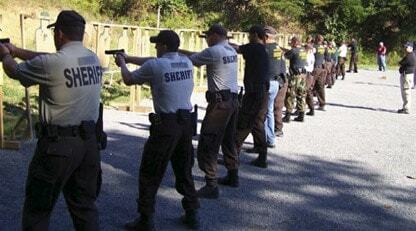 If you take a firearm course and you don’t visit a range, then your not being trained, your attending a lecture. Can the instructor provide references, do they mind if you want to talk with former students? How long has the instructor been in business? How long have they been using firearms? How many classes does the instructor take himself? It is a good indication of the instructor’s level of commitment to the industry to see how much continuing education they take in a year. One 40 hour course does not make a competent instructor. A lifelong devotion to learning the firearm science and the art of imparting that knowledge does. Do they teach in a style you can relate to? Some classes are sport based, and this is fine if your interest is shooting sports. If your interest is self-defense, the class you take should be tailored to this and that may not be relevant to a bulls-eye class. In this same vein, does their facility match the information they are trying to teach? If you’re taking a permit class with 50 students, are you sitting around waiting for the instructor to have room on a range designed for 5 shooters? I believe scrutinizing your facilities is not as important as scrutinizing the instructor. However, if you’re not comfortable at the facility or don’t feel safe you should consider finding yourself another training course.. If you have to walk ½ mile to use a dirty porta-john, do you think you’ll really be in the mood to absorb knowledge? Does the instructor have integrity? How do they answer tough questions? Will they make up answers, or will they tell you they do not know? Will they find out the answer for you? Do they make unreasonable claims or exaggerate their own skills. Can they perform the skills they are teaching? If an instructor does not know the answer to your question its totally acceptable for him to admit it rather than make up an answer, but if they have to admit they “Don’t know, but will get you an answer next break” more than once or twice, then I have serious doubts about their core competency and start to spend class time wondering why I wasted my money. Basically, to find a good instructor, you need to decide if you feel that the instructor is competent to teach the material, if you’re comfortable with them and can you learn from the methods they use to teach the material. Some instructors use humor, some are dry and serious. Whatever they do or whatever their training style, make sure you are happy with the instructor as it’s your life he is training you to protect.